Oak framed rooms built with traditional materials. 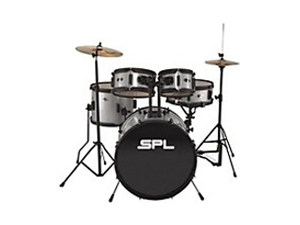 Designed specifically for you and your needs. Our bespoke designs are not confined by shape or size. 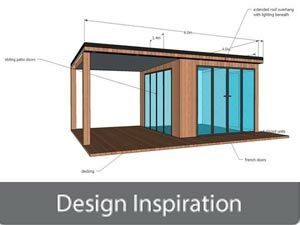 At Bathstone Ltd we specialise in designing and building garden rooms and outbuildings. You have the choice of a wide range of styles. Beautifully crafted new buildings and refurbishments, available in all shapes and sizes, to suit your budget. Whether you are looking for a traditional or contemporary design, or a blend of both, our expert advice will help you to achieve the best possible design. 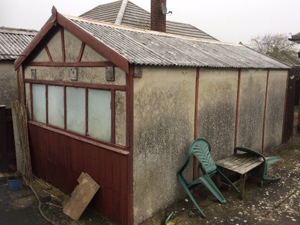 Why not consider refurbishing an existing outbuilding? Our skilled craftsmen can breathe new life into a structure that has fallen into disrepair. Please look at our Previous Projects page. Here you can see many of our previous buildings and the diversity of what we do. If there is something you particularly like we can replicate it for you, or pick features you like from different projects and we can incorporate them into your own bespoke building. The quality of service we offer is very important to us. We are a small business and take pride and pleasure in making your project as easy and enjoyable as possible. 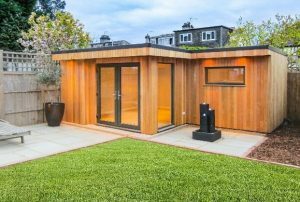 We recognise the significance of your investment and know our garden room needs to meet your requirements and expectations. 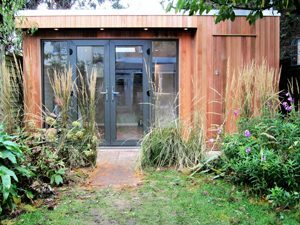 This 11m x 4.5m black painted, timber clad annexe near Newbury is a refurbished garden building that was first built about 60 years ago. Old doors and windows were replaced with a new set of bi-fold doors and larger windows to give the new building a fantastic view across the garden and plenty of natural light inside. 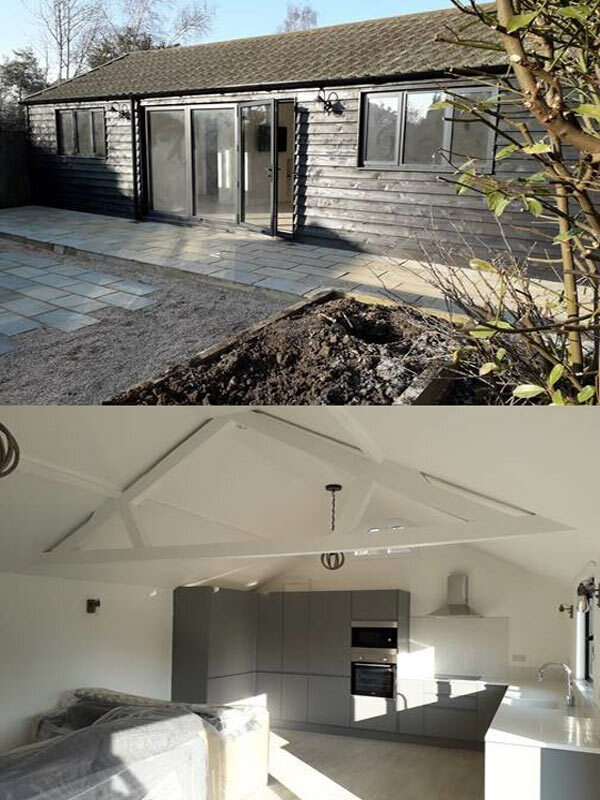 Existing beams were cleaned and painted, a new kitchen installed and with a double bedroom and en-suite shower, the building is now completely self-contained. As shown in the following clip, we offer a complete service, from site preparation to decoration and landscaping if required. 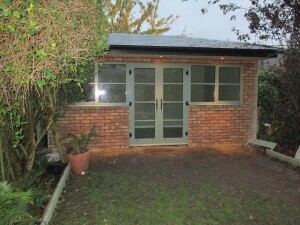 The 7m x 4.5m garden room built here includes a loo and store room with a door through to the road behind. Bi-fold doors open the whole room to the garden, and being fully insulated it makes a wonderful addition to a young family’s home all year round. 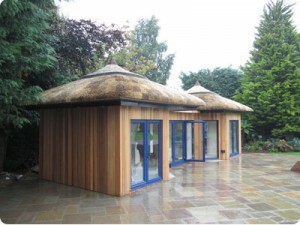 We are specialists in Garden Rooms and Outbuildings. 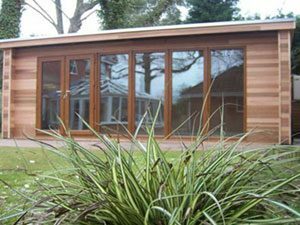 We work from our South Oxfordshire workshop, producing contemporary and traditional timber framed buildings, specifically for gardens, whatever their size. By combining traditional skills with modern techniques and materials we construct efficient, solid buildings that will last generations. 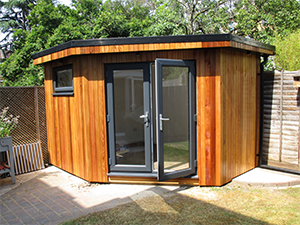 Our individual and distinctive Oak Framed buildings are extremely popular, and like all our products are individually designed specifically to meet your requirements and budget. CALL US ON 01189 842555 TO ARRANGE A FREE SITE VISIT AND QUOTE. 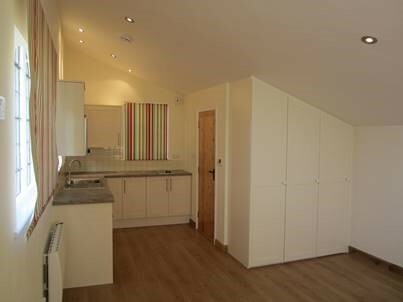 Existing Outbuildings can be refurbished and upgraded, transforming them into a perfect extra room, and valuable asset. We cover most areas of Southern England including London, Surrey, Sussex, Bucks, Berks and Hampshire. Unlike many of our competitors we undertake your whole project from initial groundwork to final splash of paint. We produce a building to meet your needs. Work or Leisure.